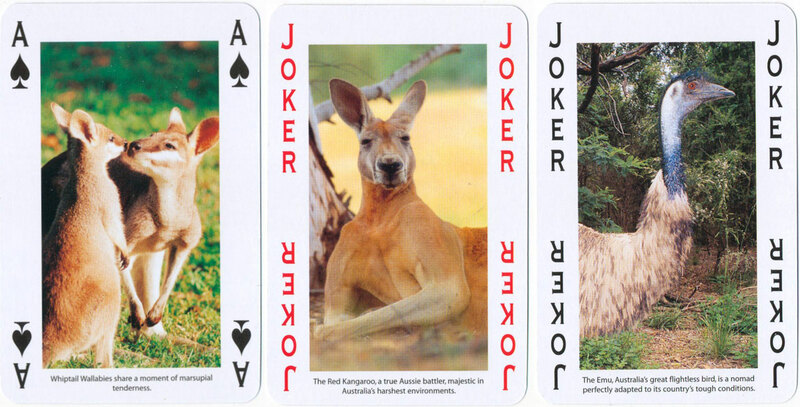 A contemporary souvenir pack of 54 cards (two jokers) each featuring a different photograph of Australia by Steve Parish. The pack is printed in China and published for Steve Parish by Colorcraft Ltd of Hong Kong. 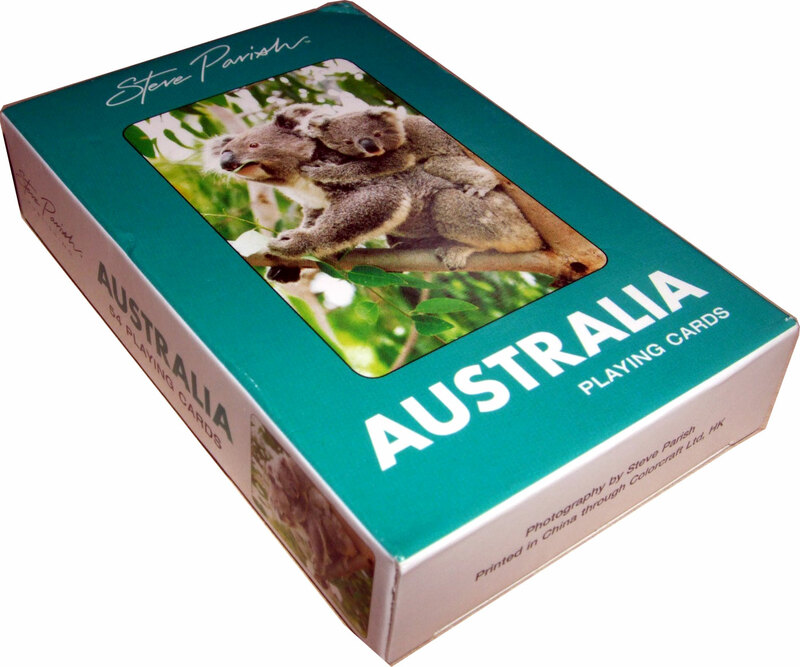 Above: Australia souvenir deck with photography by Steve Parish. Images courtesy Matt Probert.